We have been working on updating our online presence for a while now and as such are pleased to announce that the new Union Room website is now live! Union Room followers will know that we moved into our snazzy new studio in the first quarter of 2016. This prompted us to take a look at our whole brand and we decided we needed a refresh as a company. The old brand no longer reflected who we are and what we do. A little like the builder who never quite finds time to build his own house, we had plenty of ideas but were so busy focusing all of our resources on you, our lovely clients, that we were overdue for a new site ourselves. Hopefully this new and improved design, coupled with the new imagery of our team and office space, helps us get our personality across more effectively. We were keen to cut down on the amount of text, introduce lots more imagery and video, while also refreshing the palette, style and fonts. We know that reducing the amount of words and strengthening the message will be more effective than paragraph after paragraph of text that you probably don’t have time to read. The new design does a better job of getting straight to the point throughout; giving you the information you need without bombarding you, and hopefully making the site easier to navigate in the process. Alongside the new photography, we commissioned new videos to match the style of the images and strengthen the brand, showing off the studio, the team and our work. This is then complimented by the icons and animations we’ve spent time creating, and of course large text and plenty of white space across the site to allow the content to breathe. 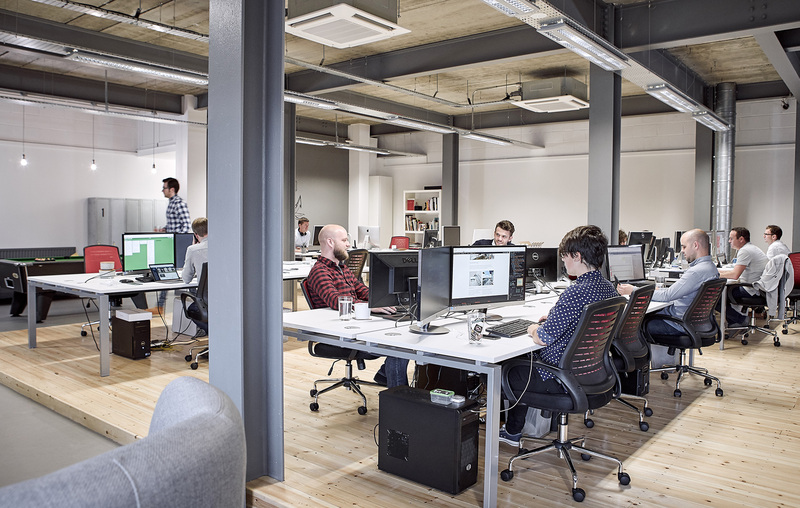 We’re extremely proud of our work, our team, our studio and great location, and our ethos. We hope that the new Union Room website does a much better job of conveying this and that you enjoy getting to know us all a little better. If you’d like to find out more about us or are interested in working together, please get in touch.